NASHVILLE, TN – Embark on a fearless journey with chart-topping recording artist Jonathan Nelson, as his upcoming live recording for his new album FEARLESS, takes over his church The Faith Center, on Friday, February 20, 2015 in Sunrise, FL. Recently signing to award-winning record label Entertainment One Music (eOne Music), Nelson’s live album FEARLESS is expected to be released under eOne Music in Fall 2015. Acclaimed among peers for his gifted talents in penning hit songs, the audience will get a first listen at what are sure to become new hits from Nelson at this new album recording – as the multiple Stellar Award-winning singer, songwriter and worship leader leads a soaring live FEARLESS experience – and welcomes award-winning artists Dorinda Clark-Cole, Tye Tribbett, Kim Burrell, and African gospel star Sonnie Badu, to join him for special guest performances. Inspiring fans with a vibrant evening of music and worship, Nelson continues to deliver songs to empower their faith and spirits. FEARLESS brings Nelson and fans together on a new journey at The Faith Center, following on his last album release, 2013’s #1 gospel album Finish Strong, which he recorded live in his native Baltimore. Revealing the best is yet to come in a broad music ministry that includes hits such as “My Name Is Victory,” “Finish Strong,” writing praise hits such as “The Struggle Is Over,” “My Praise Is My Weapon,” “Healed,” and more, Nelson’s FEARLESS live recording event is free to the public. Growing up in Baltimore, Jonathan Nelson comes from a family that is steeped in ministry and music, and studied at the Baltimore School for the Arts, furthering his vocal training at Morgan State University. 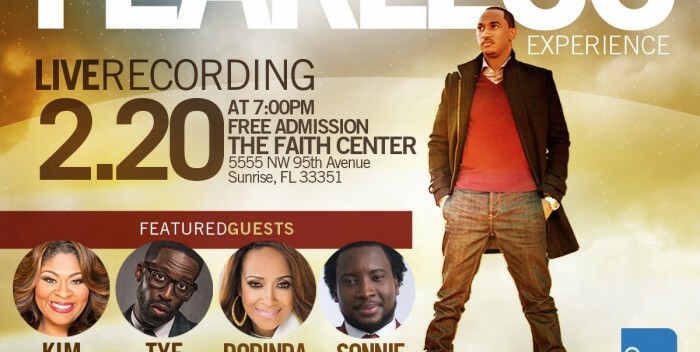 Named the minister of music at The Faith Center in 2009, Nelson continues to reach more through music and worship at the Ft. Lauderdale-area church. Joining eOne Music’s award-winning roster, Nelson is part of a diverse lineup that encompasses the sounds of contemporary gospel, and praise and worship, to urban inspiration, traditional gospel and more, including Gospel Hall of Fame legend Shirley Caesar, Gospel icon Dorinda Clark-Cole, Erica Campbell, Michelle Williams, Donald Lawrence, Ricky Dillard, and William McDowell. 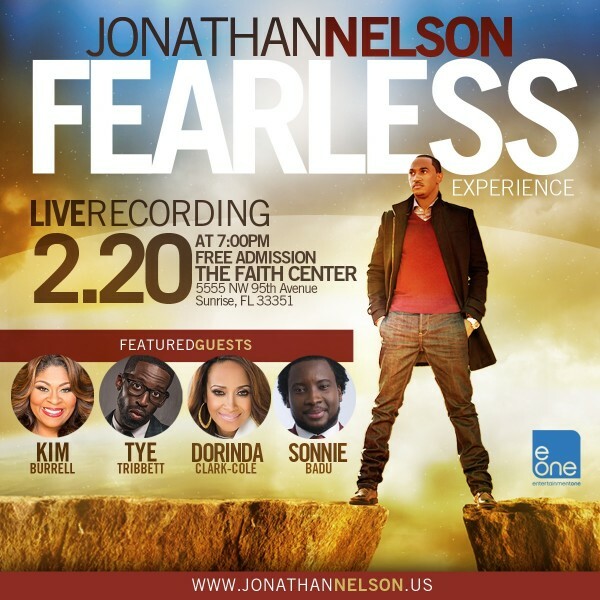 Jonathan Nelson’s FEARLESS live album recording takes place in the Ft. Lauderdale area on Friday, February 20, 2015 at The Faith Center, kicking off at 7 pm. There is a host hotel available, at the DoubleTree by Hilton Sunrise-Sawgrass Mills, located at 13400 West Sunrise Blvd. Sunrise, FL 33323, with a special room rate available for Thursday/Friday, by calling 1-800-222-8733, using Group Code: NEL. Another nearby area hotel is the Renaissance Ft. Lauderdale-Plantation Hotel, located at 1230 South Pine Island Road, Plantation, FL 33324. Entertainment One Ltd. (LSE:ETO) is a leading international entertainment company that specializes in the acquisition, production and distribution of film and television content. The company’s comprehensive network extends around the globe including Canada, the U.S., the UK, Ireland, Spain, Benelux, France, Germany, Scandinavia, Australia, New Zealand, and South Africa. Through established Entertainment and Distribution divisions, the company provides extensive expertise in film distribution, television and music production, family programming and merchandising and licensing. Its current rights library is exploited across all media formats and includes more than 35,000 film and television titles, 2,800 hours of television programming and 45,000 music tracks. 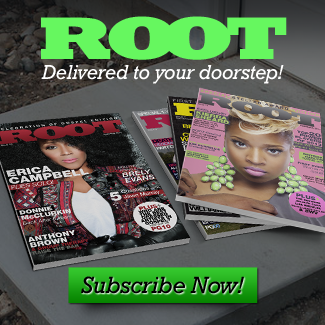 #1 record with Billboard #1 Gospel Hits ft. Kirk Franklin, Ricky Dillard, Andrae Crouch and Marvin Winans, Tamela Mann, Donald Lawrence and more!